Note : If you choose Egg less Add Rs 50 /- per kg Extra cost. Pineapple has a unique flavor and taste that makes it an ideal ingredient for baking cakes. Our pineapple cake is one of the most traditional cakes which may take all the credits for making your occasion memorable. The sponge comprises mouth-watering vanilla flavor that brings the desired tempt. Other than this, the scrumptious topping of fresh pineapple along with pineapple pulp bring amazingly tempting taste to the cake. Believe me, you can’t resist but emptying your platter and asking for more. 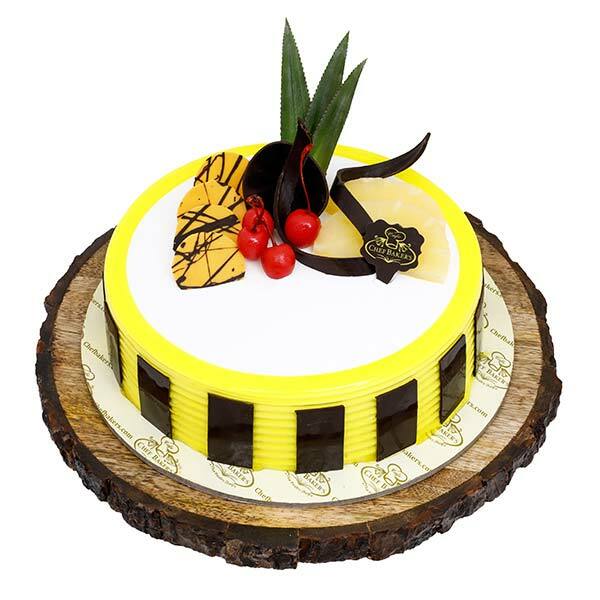 The perfect combination of vanilla and pineapple is the distinctive feature of the cake that makes it one of the best. Highly satisfied and will recommend for sure...Loved it..